red pill in the bottle. 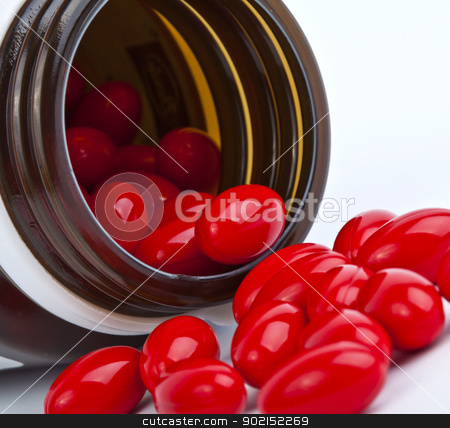 Photo of red pill in the bottle. red pill in the bottle on white.